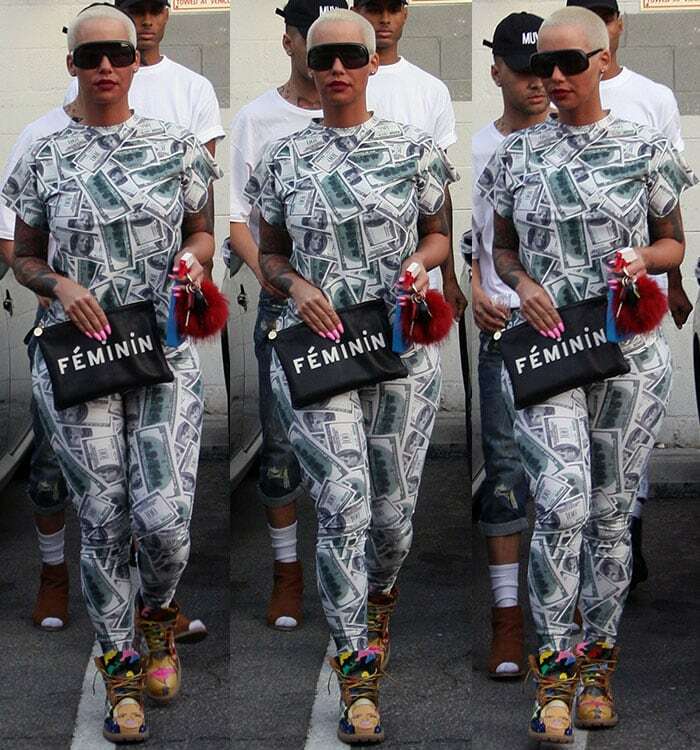 Amber Rose — typically one to bare it all — was spotted wearing a little more than usual leaving a nail salon in Beverly Hills on Wednesday. The 32-year-old model and fashion designer is often known for her risqué sartorial choices. 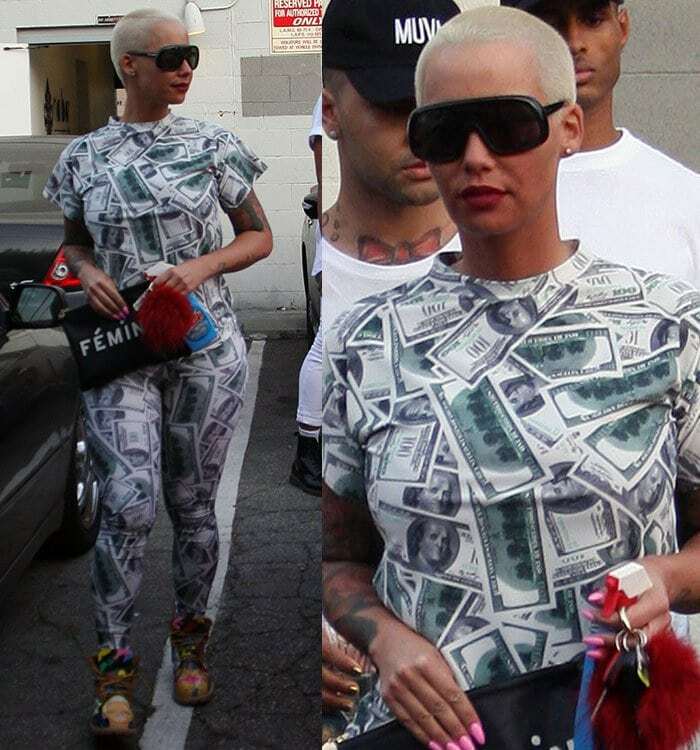 However, Amber Rose still managed to flaunt her curves while covered up for the casual outing. She donned a jumpsuit — printed in a $100 dollar bill pattern — that clung to her curvaceous body, and paired it with colorful custom boots. Wiz Khalifa’s ex-wife kept the rest of her accessories simple with only a pair of stud earrings, oversized sunglasses, and a black “Feminine” clutch by Clare Vivier. A slick of red lipstick and pink nail polish completed her look. 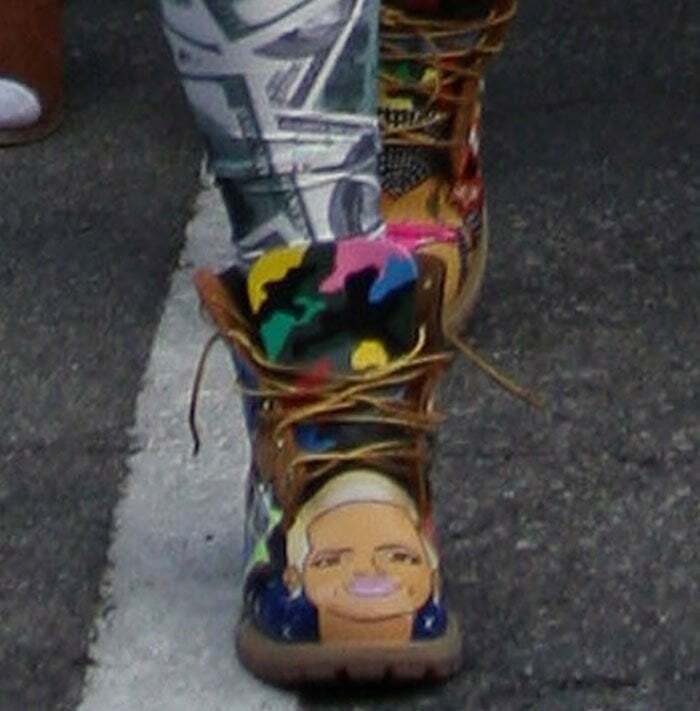 Amber’s boots seem to be a custom pair of Timberland boots. Not only do they feature colorful camo-patterned tongues, but they also have Amber’s face painted front and center. You can check out Timberland’s website if you also want a one-of-a-kind pair of boots.